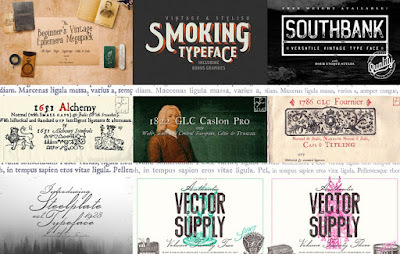 Friends, here comes the new vintage design bundle that includes a comprehensive range of gorgeous fonts, textures, vector graphics, text effects, textures and vintage ephemera! A must have for every vintage designer. All the products in this all-encompassing vintage design bundle have been sourced from over 500 years worth of genuine vintage materials, dating right back to the 16th Century. The Beginner’s Vintage Ephemera Pack is the ultimate treasure chest of old-time designs. If you’re a font lover, GLC Foundry have even hand-scanned a range of classical fonts, and converted/updated them for digital use. You can also discover a range of vintage illustrations and images, all expertly converted into an easy-to-use format for the modern designer. The bundle comes with extended license and this means that you can use the vintage resources in the bundle with confidence. The deal price is just $29, you save 98% of the regular price.